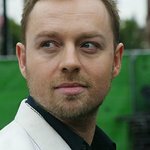 Darren Hayes is an Australian singer-songwriter, formerly with Savage Garden. On 30 June 2007, Hayes headlined the London Gay Pride at Trafalgar Square. He made a Youtube video for the It Gets Better Project – it was later turned into an essay for a book. He also participates with The Trevor Project (he performed in 2007 at the Trevor Live! benefit). Google trends for "Darren Hayes"
We don't have any videos related to Darren Hayes.